Hello sir I am a student of Banasthali Vidyapith and want to check my result online from the Banasthali Vidyapith website. Can you please tell me the process to get results of 2014 online from the Banasthali Vidyapith website? As per your request here I am providing you the process to get the 2014 results directly form the Banasthali Vidyapith website. 2. Then click the Examination Section, which was there at left side of the home page. 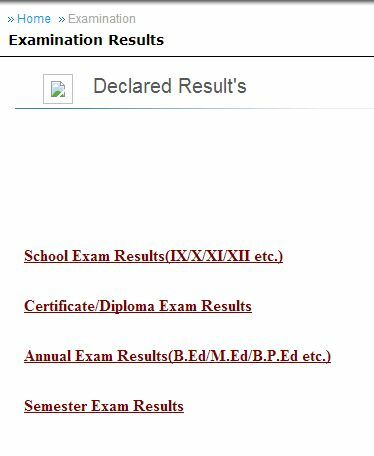 6.The Banasthali Vidyapeeth Result will display on your screen. 7.Download this result and take the printout for future use.